Often far from home and loved ones, famed anthropologist Margaret Mead was a prolific letterwriter, always honing her writing skills and her ideas. "To Cherish the Life of the World" presents, for the first time, her personal and professional correspondence, which spanned sixty years. These letters lend insights into Mead's relationships with interconnected circles of family, friends, and colleagues, and reveal her thoughts on the nature of these relationships. In these letters--drawn primarily from her papers at the Library of Congress--Mead ruminates on family, friendships, sexuality, marriage, children, and career. In midlife, at a low point, she wrote to a friend, "What I seem to need most is close, aware human relationships, which somehow reinstate my sense of myself, as no longer living 'in the season of the narrow heart." This collection is structured around these relationships, which were so integral to Mead's perspective on life. 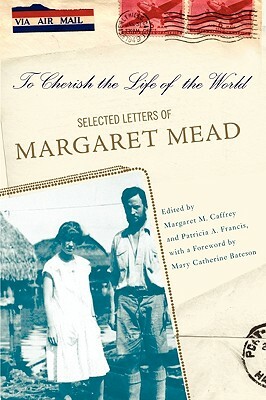 With a foreword by her daughter, Mary Catherine Bateson, a renowned author and anthropologist in her own right, this volume of letters from Mead to those who shared her life and work offers new insight into a rich and deeply complex mind.